Manaslu trekking was opened only since 1991; it provides spectacular beauty along the border of Nepal and Tibet and is now a controlled trekking route which allows organized trekking groups special permits to venture round its spectacular circuit.Manaslu has a distinctive environment which is exceptionally rich in bio diversity that has made this region one of the finest tourist destinations of Nepal for many years. Consisting of varieties of cultural diversities, natural scenery of the majestic Himalayan ranges, high altitude romantic glacier lakes and fascinating flora and fauna, all these natural and cultural features of this region have made it one of the most popular tourist destinations of Nepal and is controlled area requiring special trekking permit to get entry into this region for foreigners. 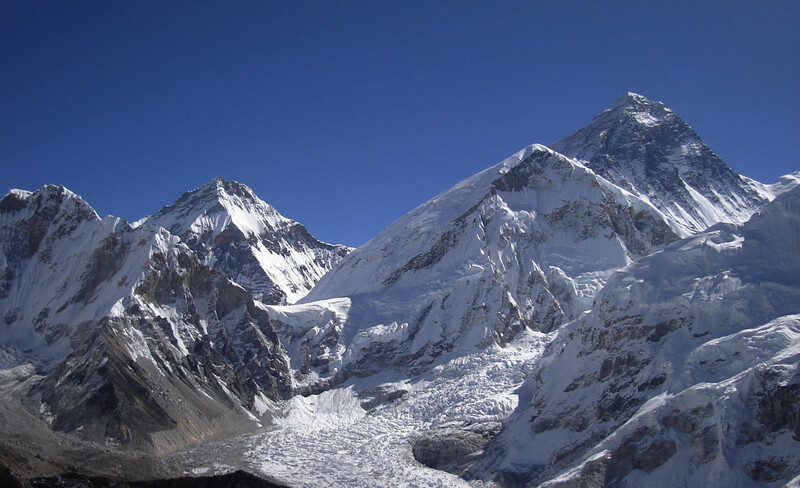 If you want something challenging, a trek that has many curious is the “Manaslu Circuit Trek”. Those who are adventurous and have perhaps tackled other popular treks in Nepal like Everest Base Camp, Annapurna Circuit etc. 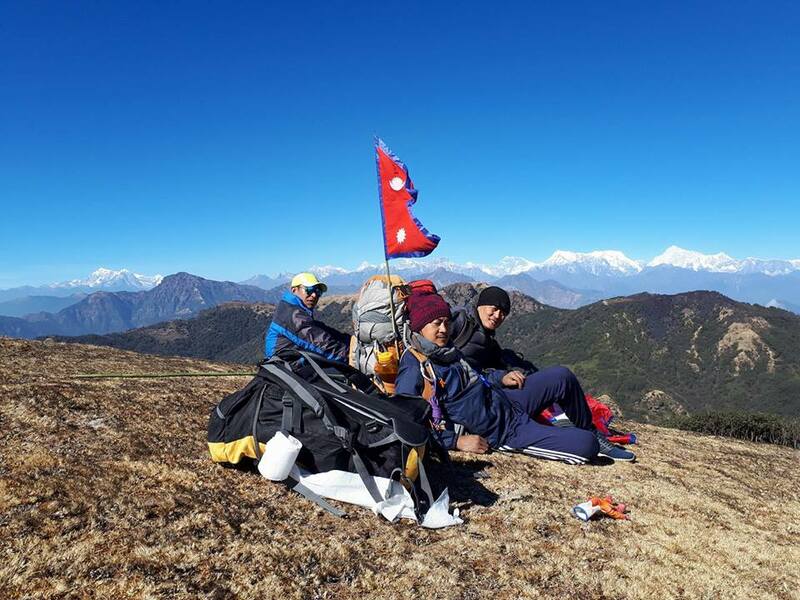 and wish to try a different challenging trek can go on this trek to experience some of the most incredible landscapes and trekking adventures in Nepal.A trek around the ‘high’ Manaslu circuit is a step back in time, a glimpse of pristine Nepali and Tibetan villages, a walk through a remote Himalayan paradise. The diversity of the trek, from the Hindu middle hills to the Tibetan high-country dwellers, and the awesome mountain scenery of the Manaslu Himal and surrounding peaks combine to make this circuit one of the most interesting, as well as one of the most challenging, treks in Nepal. The 5150m Larkya La is just one of the high points. 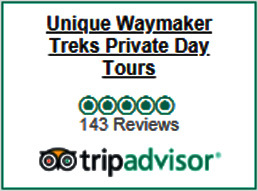 Our Unique Way maker Trekking Company Airport Representative will meet you outside the Terminal Hall. Please, look for our Company play card. Transfer to hotel, introduce your trekking guide and check the necessities. Afternoon stroll Tourist colorful market Thamel down town. After Breakfast Kathmandu Sightseen with your tour guide who will meet you at the hotel. You will then be taken to the Monkey Temple aka Swayambhunath. After that, you will visit the Hindu temple of Pashupatinath and then the Buddhist pilgrimage of Boudhanath stupa. Meet with trekking guide and prepare for trekking stuff and briefing for trekking. After an early morning breakfast, you drive to Aarughat Bazzar on four wheeler Or Bus from Kathmandu. You will follow the Budhi Gandaki River towards the northern side and pass through Morder and Simre villages. It will be a bumping and winding dirt road drive which will take around 6-7 hours. After our breakfast, we will trek to Soti River which takes about 6 hours. We will be passing through Budhigandaki River Shore to get there. We get to view of Shringri Himal and local community and stunning landscapes. Then, our trail goes via Gurung and Magar villages and a striking waterfall until we finally reach Soti Khola. We will be staying in a tea house tonight. After having breakfast you start trekking to machha khola. After crossing popular suspension bridge over Soti Khola and trek through the sal forest on a narrow and rocky trail. There are many waterfalls along the trail. You make your way past the paddy fields and end up in the beautiful Gurung village, Lapubesi. Further trekking through the sandy riverbed and stone ridges will take you to Machha Khola. This trek will take almost 6 hours. The next day, From Machhakhola we follow a narrow trail that takes us to Tharo Khola and finally to Khorlabesi. After a few ascends and descends, we reach a popular hot-spring, Tatopani. We will spend sometime here and can enjoy the natural sauna in the hot -spring and relieve all our tiredness and stress of the trek.we climb another ridge and cross the Budhi Gandaki on another suspension bridge. After this, we climb a staircase and then cross a landslide and a ridge to reach Doban. After crossing a suspension bridge, we again climb stone staircase then go down to the river and climb some stairs again to reach Thado Bharyang. Then we cross the west bank of Budhi Gandaki, climb over a ridge, walk along the river to reach the village of Jagat where we spend the night. On this day, you climb over the rocky ridge to reach Salleri. You then head towards Sirdibas and continue the trek passing a long suspension bridge to reach gurung village Philim. Crossing the fields, you will reach Ekle Bhatti where you will have lunch. Then you pass through the bamboo forest and cross a stream to reach Deng. Overnight in Deng. Today’s after Deng village We cross the Budhi Gandaki river And climb to reach Rana trek is a little longer and harder. It will be a 5-6 hours trek. There are many mustard fields and waterfalls along the way. As you head further, you can see carvings on the stones of various images of Buddha in meditation. You pass the rhododendron forests and cross some wooden bridges. Then, a climb through some stairs and a walk through the pine forest will take you to the neat village of Namrung. Namrung is the best view for siring And Ganesh Himal . we leave Namrung early in the morning and walk across Honang River. After some hours of walking, you reach Lho Gaon, from where you can get a good view of Mt Manaslu (8156m). It will then be an easy walk to Shyala (3500m) through the pine and rhododendron forest. As you move ahead, yak pastureland and stone houses come into your sight. this day is set for you to rest and get adjusted to the high altitude. There are various places to visit in Samagaon like Birendra Tal or Anie Gompa. Afterward, the team will hike up to Manaslu Base Camp. 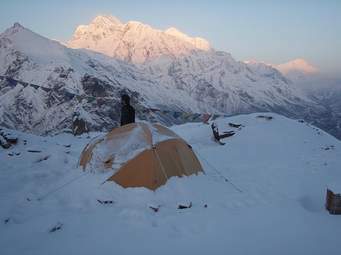 From the base camp, you get a wonderful view of Mt Manaslu (8156m). After spending some time at the base camp, you return back to Samagaon . After breakfast, you follow the Budhi Gandaki River and cross a suspension bridge. The trek further is easy as you pass Mani walls and juniper forests. This trek will take 3-4 hours. Your final destination of the day is Samdo village, which is dedicated to yak herding as it has more animals and fodder than the human population. It will start trekking crossing the wooden bridge over Budhi river. As you head for Dharamsala Through mani walls and prayer flags. This trek will take around 3-4 hours. Walking past monasteries, you cross the bridge over Budhi Gandaki River to arrive in Larkya Bazaar. From there on, you ascend on the moraines of Syacha Glacier as you walk through the Mani walls and stone huts until you arrive in Dharamsala. You get to see some great views of the snowcapped mountains. A short walk takes you to a valley which offers great views of Cheo Himal (6812m) and Larke Peak (6249m). Ascending on the steep and icy trail through Larkya Glacier, you reach the top of Larkya La Pass (5160m), the highest point of this trek. The pass provides wonderful views of mountains like Himlung (7126m), Annapurna II (7937m), and Cheo Himal (6812m). You then descend to a more leveled path and make your way to Bimthang. After breakfast, you trek downhill through the bamboo, rhododendron, and pine forests. Lunch will be at a small tea house on the way. After 5-6 hours of trekking, you arrive in Tilije which is a large Gurung village. Witness the architecture and culture of the village and enjoy the local meal. Crossing Marsayangdi River, you trek through Syange Descending through the woods and passing through the waterfalls you reach Jagat village. Then it will be another downhill walk through nadi village to besishar. We drive along the banks of Marsyangdi and Trishuli River, witnessing the beautiful scenery terraced farms, valley, rivers and hills. After 7 hours’ drive we wills reach Kathmandu where we spent final last night. The 18 day’s long trip comes to an end. After a fulfilling breakfast at the hotel, our team representative will transfer you to the airport 3 hours before your flight schedule.